Join composer Jerod Impichchaachaaha’ Tate for an adventure in American Indian and Māori music. 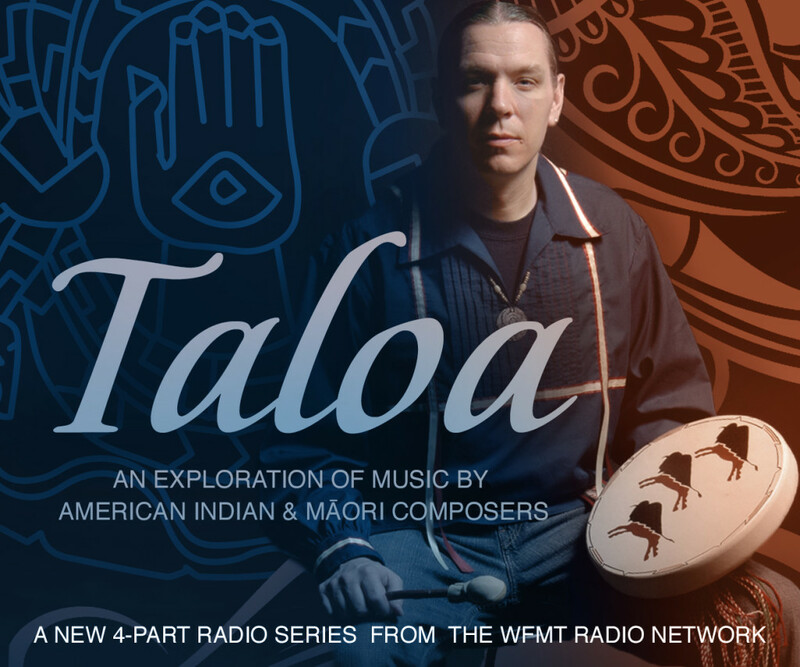 TALOA — which takes its name from the Chickasaw word for song — is a series exploring fascinating connections in the music of contemporary Māori and American Indian composers. The creator of major symphonic and choral works heard at The Kennedy Center and recorded by the San Francisco Symphony, Tate is our guide as we discover powerful and evocative music by a diverse range of American Indian composers. Along the way, Tate leads us on an unforgettable journey to New Zealand, where we listen in to his on-the-ground musical encounters with leading Māori composers and performers. During this series of four sound-and-music-rich 2-hour programs, we’ll hear performances by Kiri Te Kanawa, Hilary Hahn, and the San Francisco Symphony. 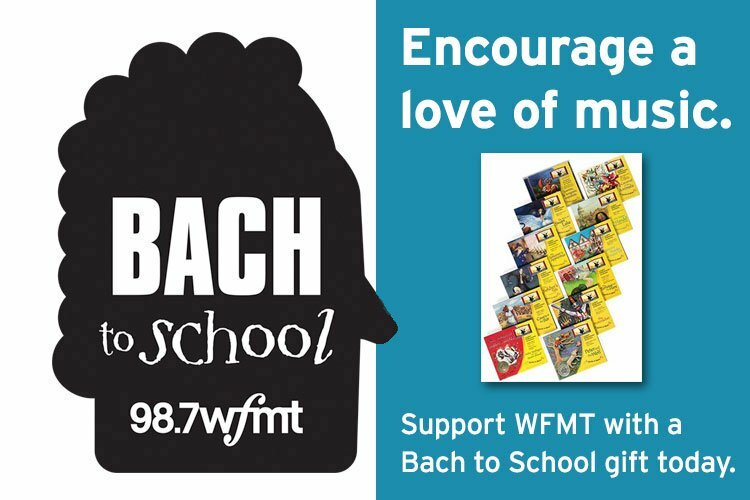 A collaboration between the WFMT Radio Network and Radio New Zealand Concert, TALOA is supported by the John D. and Catherine T. MacArthur Foundation, and produced by David Schulman, creator of the award-winning “Musicians in their own words” series. Composers from Vivaldi to Beethoven to Bartok have created music inspired by the natural world. As our world becomes ever more urbanized, composers from aboriginal backgrounds are finding timeless yet deeply personal ways to connect their music to the sounds of nature. Astonishing music can begin with a piece of whalebone. Or the song of New Zealand’s tuneful bellbird. Or the roar of Oklahoma Thunder. This program features a visit with the eminent Māori composer Dame Gillian Whitehead. Te Ahukaramū Charles Royal’s Te Take O Te Rakau, George Quincy’s Choctaw Nights – Fanfare for a Choctaw Soul, David Yeagley’s Wessi-vah-Pah and works by Gillian Whitehead, including Puhake kit e rangi performed by Richard Nunns and the New Zealand String Quartet, Torua performed by Hilary Hahn and The Improbable Ordered Dance performed by the New Zealand Symphony Orchestra. For American Indian and Māori composers, the sound of traditional instruments has been a potent source of inspiration. Whether played by Sioux, Comanche, or Navajo, there is nothing quite like the haunting sound of a plains flute. But aboriginal instruments pose a challenge for composers: how does one meaningfully include these instruments in pieces with Western classical instrumentation? The results can be varied and stunning, as we’ll hear. Our program features conversations with Horomona Horo and James Webster — leading Māori performers on the ancient Māori instruments known as taonga pūoro. Louis W. Ballard’s Incident at Wounded Knee, performed by the St. Paul Chamber Orchestra, Trevor Reed’s The Plaza of the Ancient Village, performed by the Brigham Young University Orchestra and Courtney Parchcorn’s Innocence, performed by the Ethel String Quartet. Plus, performances from New Zealand’s Richard Nunns, Hirini Melbourne and Horomona Horo in a variety of Māori works including Tangi Koauau and Poiawwhiowhio. which today are opening new paths in contemporary composition. The program features Māori composers and Te Ahukaramū Charles Royal and Dame Gillian Whitehead. Jerod Tate’s Tracing Mississippi performed by Christine Bailey Davis and the San Francisco Symphony, David Yeagley’s Clouds of an Evening Sun performed by the Polish National Radio Symphony, Te Ahukaramū Charles Royal’s Baxter Songs performed by baritone Howard McGuire and music from Gillian Whitehead’s album entitled Ipu. In a program that celebrates the rich vocal traditions of Māori and American Indian singers, we’ll hear selections performed by Kiri Te Kanawa, Chanticleer, and Voices New Zealand. And Jerod delves into the dynamic Māori tradition of Kapa Haka performance, with a special musical visit with singer and song composer Tuirina Wehi. The traditional Kiowa Hymn performed by Cornel Pewewardy and The Alliance West Singers and works by Ngapo Wehi and Helen Fisher from New Zealand. Plus, Māori songs, Waerenga-a-Hika featuring Tuirina Wehi and Hine e Hine and Po Karekare performed by Kiri te Kanawa.